Lodges in Bandhavgarh National Park. Hotels in Bandhavgarh National Park. Resorts in Bandhavgarh National Park. Non AC DBL Bed E.P. Non AC DBL Bed A.P. Non AC Dormitory (Per Person) E.P. AC Dormitory (Per Person) E.P. Non AC 6 Bed Big E.P. AC 6 Bed Big E.P. 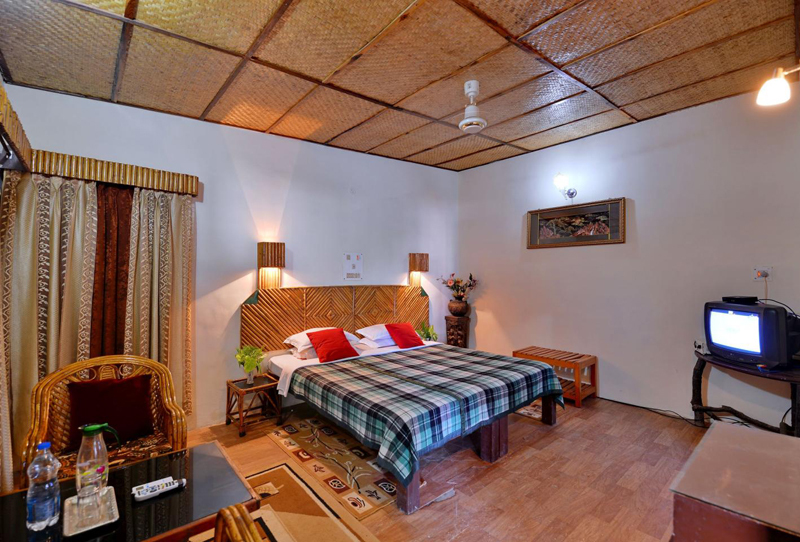 We provide online Hotel Lodge Resort booking for Bandhavgarh National Park. We provide luxury but budget Accommodation at Bandhavgarh. Lodges online booking, hotels online booking, resorts online booking service at Bandhavgarh National Park. Stay in absolute luxury at Bandhavgarh National Park hotel on tiger safari in MP in Central India. Among the top hotels – Golbro Tiger View Resort offers unique stay that compliments forest adventure and rustic jungle life. Experience comfort & style on wildlife safaris as never before. Golbro Tiger View Resort is a unique wildlife resort in Bandhavgarh Wildlife Premium zone Tala. An amalgam of ethnic exterior and modern interiors with all cozy comforts. We are here to set out and transform the ordinary into the extraordinary. On tiger safaris, away from the mad rush of the city and stressful life. The Resort is an oasis of calm, a place to nourish the soul and lift the spirit. We welcome you to experience the serenity and harmony. Come celebrate nature and life as it is. Sit and meditate amongst earthly rich Indian colors and warm hospitality. Golbro Tiger View Resort offers exciting and thrilling wildlife watching opportunities. Enjoy wild safaris in open Gypsy, on elephant back or on foot with an experienced guide at your side. Golbro Tiger View Resort, Tranquility Entrenched For discerning nature lovers Golbro Tiger View Resort is an admirable eco friendly retreat next to one of the most beautiful forest of the world – Bandhavgarh National Park. Spread in the land of White Tigers, this charismatic resort is the only place in the entire region, which is based on the and socially responsible tourism. We respect local culture & traditions and by employing local youth we try our best to do our bit for empowering local communities the sentinels of our valuable heritage. We arrange village tours for interested guests where they can see, enjoy and learn from villagers their living style and culture. If you want to dance to the tunes of tribal music we will arrange tribal dance program at the resort itself. 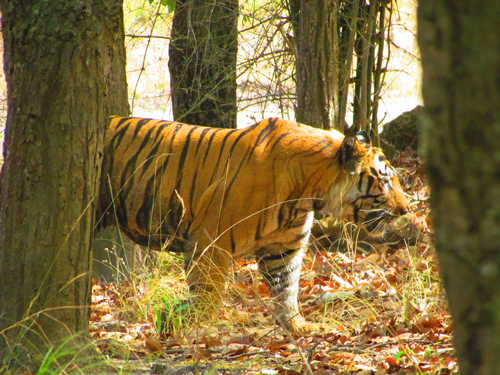 Bandhavgarh is famous for its wildlife and watching them sitting in open gypsy is an experience unforgettable. We arrange for Gypsy vehicles for safaris who will take you to the forest. Due to meager nos. of jeep safaris, you are strongly advised to book jeep safari almost 120 days before to avoid any inconvenience. Golbro Tiger View Resort, 2007-18 All Rights Reserved.